We are approaching August and so time to thing about how to spruce up fall neutral outfits. We choose 3 makeup trends for the daring and as always, tag us in your instagram #tfgmkup if you try these looks and get featured on our page. 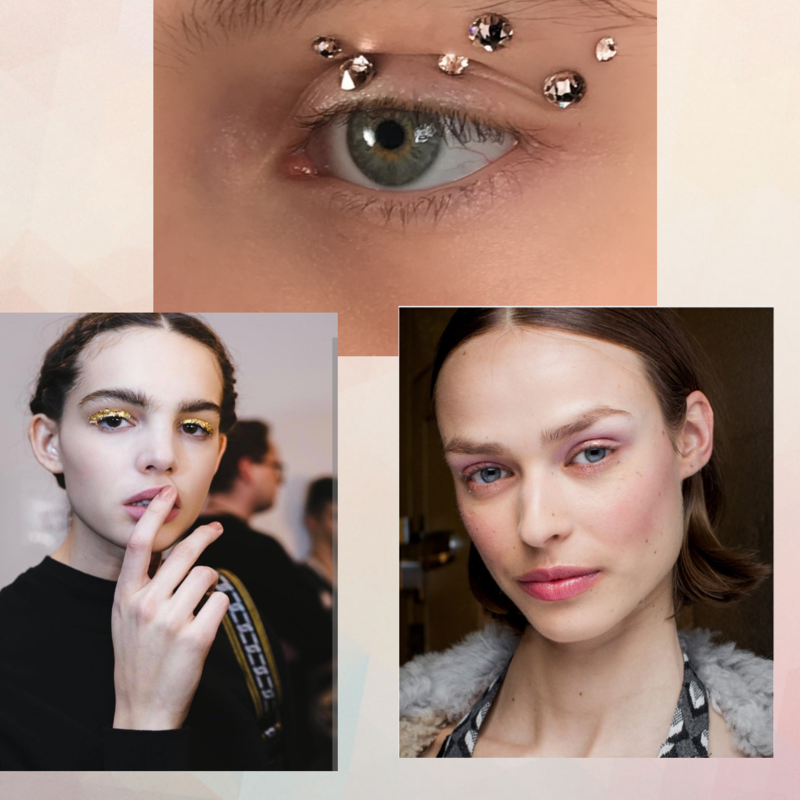 Okay, this look goes beyond just adding shimmering eyeshadow to lids. Invest in fine glitter if you are of darker skin tone and more thicker if you are lighter. Crystals also count! 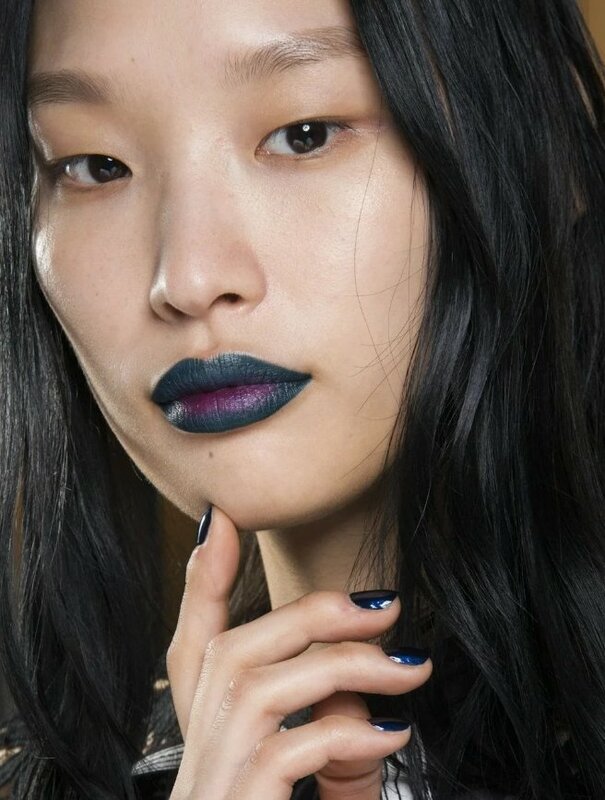 This look was so drastic we had to include it. 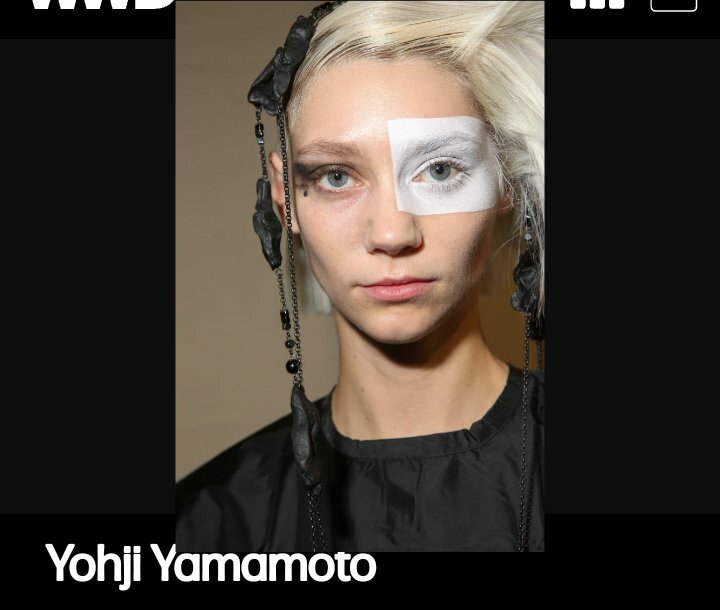 Pat McGrath did this look for Yohji Yamamoto. To do this at home, think different eyeshadows, colored mascara on 1 eye or 1 colored eyebrow. The sky is the limit but it is sure to be a icebreaker. We love this look because the color choices are are sent by you. The point is to choose a lighter or contrasting color in the middle and a darker hue on the outer edges.